The Prisma Copper Photo Frame by Toronto- based company, Umbra, displays photos uniquely as they appear as though they are floating between two panes of glass. 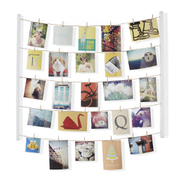 The 5” x 8” photo frame is edged by a three dimensional geometric frame that has been designed by prize-winning Sung Wook Park who is inspired by creating modular designs and redefining familiar household products. 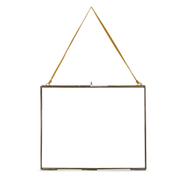 The Prisma floating glass frame can be mounted vertically or horizontally on a wall or displayed sitting on a shelf, desk or table, allowing for flexible presentation options. As lights go on, the frame will cast overlapping shadows creating geometric shapes to vary the ambience and effect. 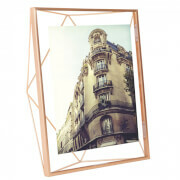 The copper wired premium frame will add a sculptural feature to any stylish home.